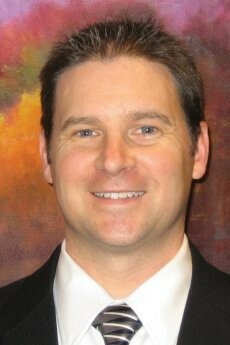 Dr. John Burroughs is an ophthalmologist with a specialization in oculo-facial plastic surgery. With over twenty years of medical training and experience, Dr. John Burroughs is able to diagnose and treat many diseases and conditions of the eye. With over 20,000 procedures performed, Dr. Burroughs is routinely called upon by other physicians for treatment. Call Dr. Burroughs today to schedule your appointment! I am happy with eyelids and see much better. Dr. Burroughs and staff couldn’t have been nicer. Dr. Burroughs is an excellent doctor!!! I would go there also refer anyone to this office. The staff is very friendly and professional. Dr. Burroughs shows genuine concern for his patients and is ready to answer any question. Each visit was very good each time. First class operation, the best I’ve ever experienced. Thank you so much! I can see! My eyes look wonderful and I’ll try to come back for some more work. Dr. Burroughs is the first doctor that administers my Botox (for migraines) without causing an embarrassing lowering of my right eyebrow. He is very kind and always answers my questions with patience and thorough explanations! Good work. Should last a long time! Dr. Burroughs is very kind, friendly and professional. Wonderful doctor! My overall experience with Dr. Burroughs and his staff was great- professional, all staff so very kind and accommodating. I love Dr. Burroughs. He’s great! The staff is very helpful and courteous. Great job, very happy with results. Thanks for everything! Dr. Burroughs is a great doctor and very kin. He’s a blessing. So pleased with everything. Thank you Dr. Burroughs and staff. I would go also refer any one to this office. Dr. Burroughs is an excellent doctor!! First couple appointments 30-45 minutes wait. All other appointments were right on time. Doctor did make certain I understood all steps of the procedure - especially those which did not sink in during a previous visit. Very professional doctor who discusses options prior to final decision. Did a great scar revision on my face/lip as a result of a fall! Wouldn't trust anyone else. Appreciate Dr. Burroughs knowledge and professionalism. Best ever! Dr. Burroughs and his staff are awesome! Dr. Burroughs listens and understands your questions and answers clearly! Kind, gentle, sense of humor! Dr. Burroughs has a very friendly, easy manner... and very thorough explanations of treatment and expectation. My eyelid lift went very smoothly and was successful and no complications. I am extremely satisfied. Since my surgery, I have seen a significant improvement in my vision. I am no longer experiencing the eye stain and the temporary blackouts are no longer occurring. I am overwhelmed with the significant change. Dr. Burroughs took care of our teenage son's lazy eyelid. Amazing experience from start to finish. Our son could not by happier, either could we. Thank you! There was some issues with my initial appointment but is was quickly resolved by front desk. Doctor was wonderful in every way. Dr. Burroughs is fantastic! Always so kind, taking the time to answer my questions to my satisfaction. He has really help my eyes to feel much better to where I can live a normal life without major discomfort. Excellent surgeon and very good and professional doctor.